I may have mentioned before I have a bit of a pushchair obsession. I know the reason behind it, when I was pregnant with O I was lucky enough to win an online competition for a full travel system and our car seat and pushchair arrived, complete with a carrycot for a newborn. The only problem was that it wasn’t what I personally would have chosen and I think I felt a bit robbed of the whole process of choosing the pram I wanted for my new baby. Common sense (and money) meant that it would have been daft to buy another one but I did find myself having at times wandering round the pushchair section of Mothercare looking longingly at the different styles I may have opted for given the chance. 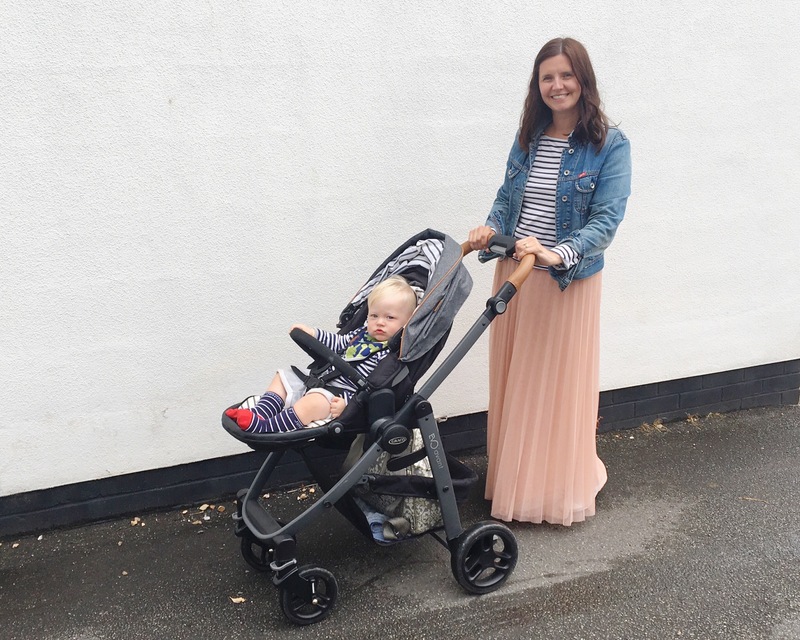 Working with Graco as part of their ambassador program is a dream come true for me and my pushchair obsession and for the past few weeks we have been trying out the Evo Avant in the gorgeous Breton stripe design. 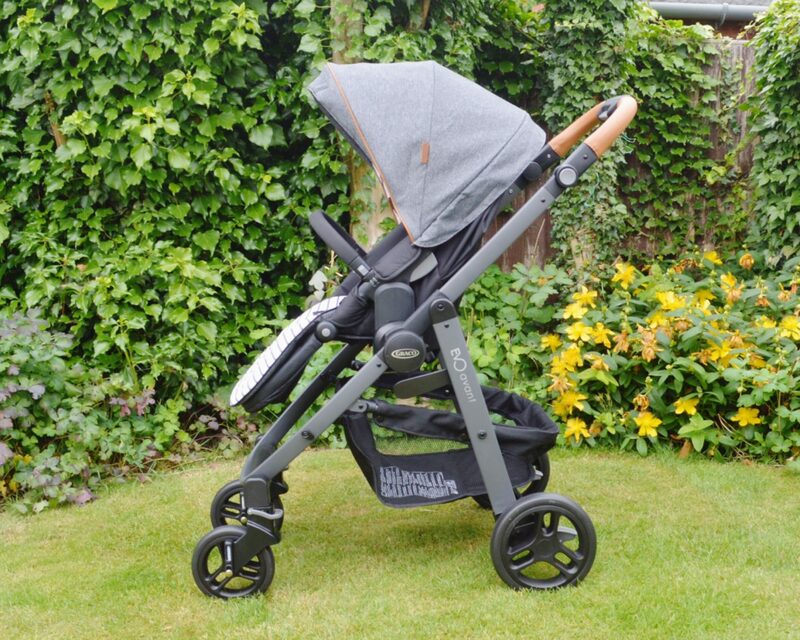 It really is a stunning pushchair, especially for anyone who loves stripes. 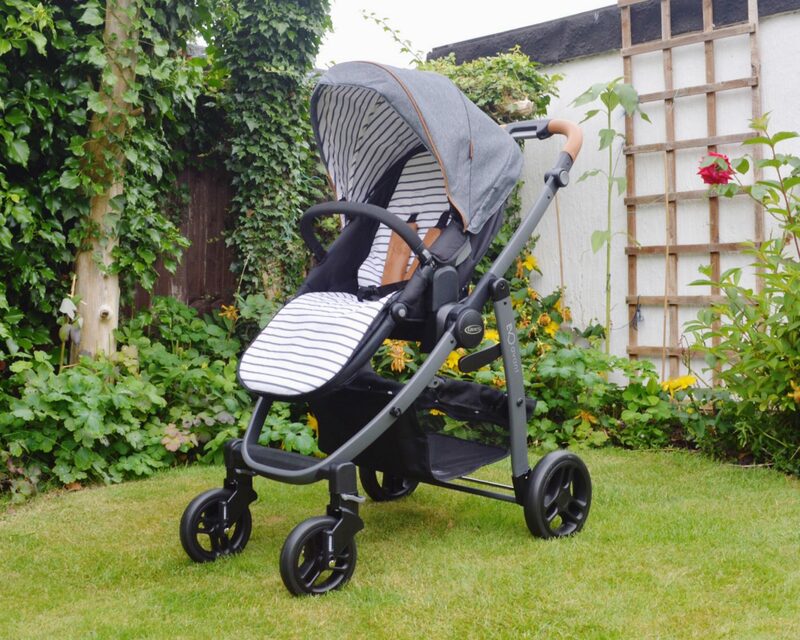 We have been using the footmuff liner in the pram to really embrace the stripes! 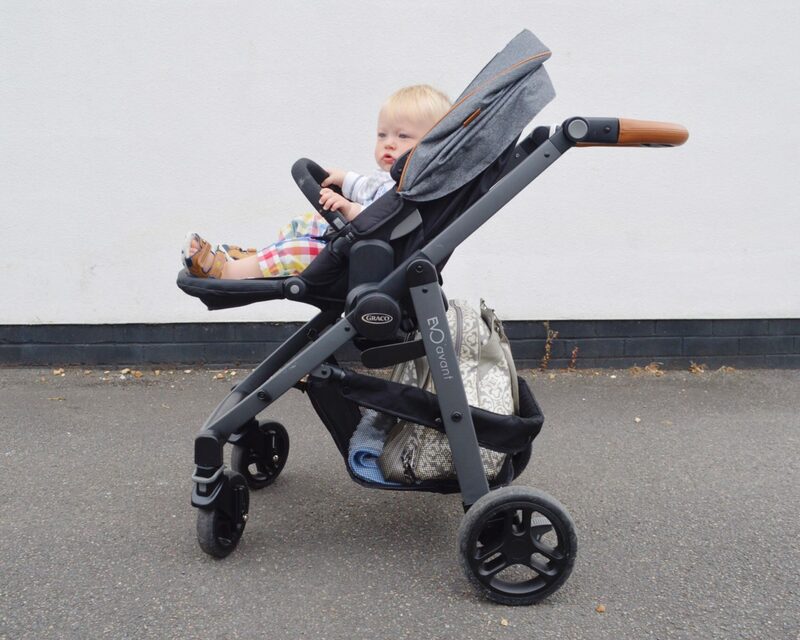 A huge plus for me with any pushchair is that it can be parent and forward facing and it is really easy to turn the seat around to have it either way. I also like that it can be reclined for the (very) few occasions that G falls asleep in his pram, although he’s usually far too nosey for that. The bottom of the seat unit can be altered depending on the age of the child, currently we have it up to support G’s legs but I don’t think it will be too long before we are dropping it down. It’s funny that this isn’t even a feature I had really thought about but it is really useful. I can’t not mention the size of the basket, it is huge and I love that I don’t have to hang my changing bag off the handle bar which always ends up getting in the way when I walk. My husband and I are quite different in size, I’m 5 ft 4, he’s 6 ft 1 so we both appreciate that the handle can be adjusted easily to accommodate us both. Plus O loves helping to push so we can put it on it’s lowest setting when he wants to help out. It’s also really easy to put up and down, I love that you can do it with one hand! To be honest there really isn’t much not to like but I did find that I ended up taking the leatherette shoulder straps off the pram as they kept falling off when I was trying to strap G in. He is such a wriggler that having to put them back on before strapping him in was a little bit of a faff. I also found the brake a little stiff to begin with and a few times found it easier to take off with my hand rather than my foot, although it didn’t help that I was only wearing my canvas shoes. 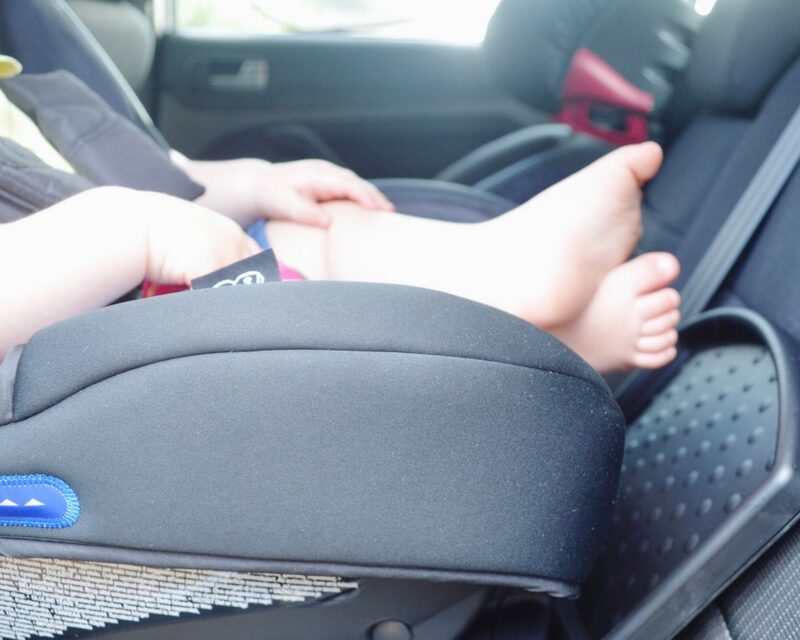 We were also sent the one of Graco’s newest car seat Snug Ride i-Size and Isofix base to try out with the Evo Avant as together they make a fantastic travel system. 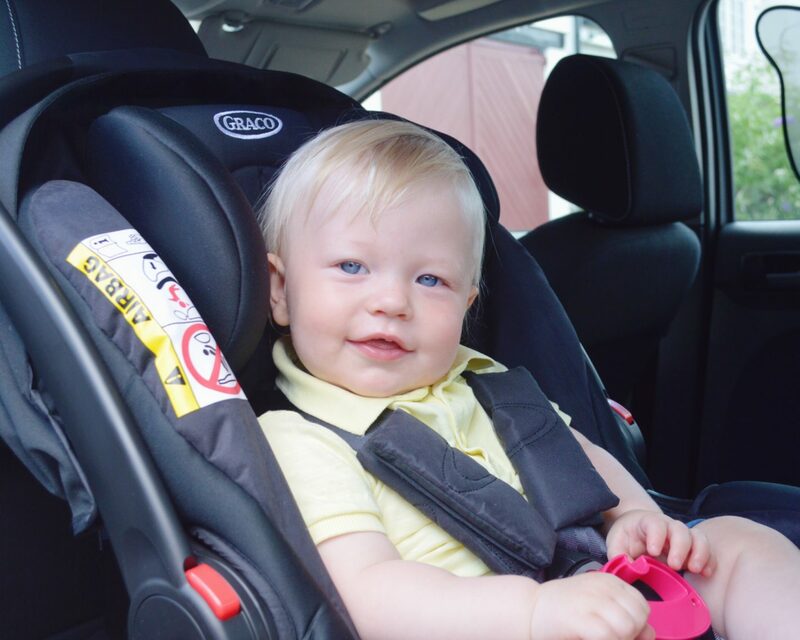 It is compliant with the new i-Size regulation and has been designed to help protect rear-facing infants from birth to approximately 18 months (13kg). I was a little nervous about putting G back into a “baby” car seat. He had long outgrown his original newborn seat and has been in a bigger seat for the past few months, which he has loved because he was never a fan of being laid back. I really didn’t need to worry, G loved being in there. He had plenty of room and looked really comfy. At 14 months (and he’s quite a chunky boy) there is still plenty of room for him to grow into. There are additional supports for newborns which we removed as we didn’t need them. The only issue was that as G is a heavy lad lifting the seat with him in it wasn’t particularly easy but just about manageable for the distance from the front door to the car or for lifting onto the Evo Avant. One feature my husband really liked (he’s a lot more car proud than I am) was that built into the base was a panel that could be lifted to protect the car seat from any muddy footprints. Obviously this is designed for those babies at the upper end of the age range for the seat who may be walking. 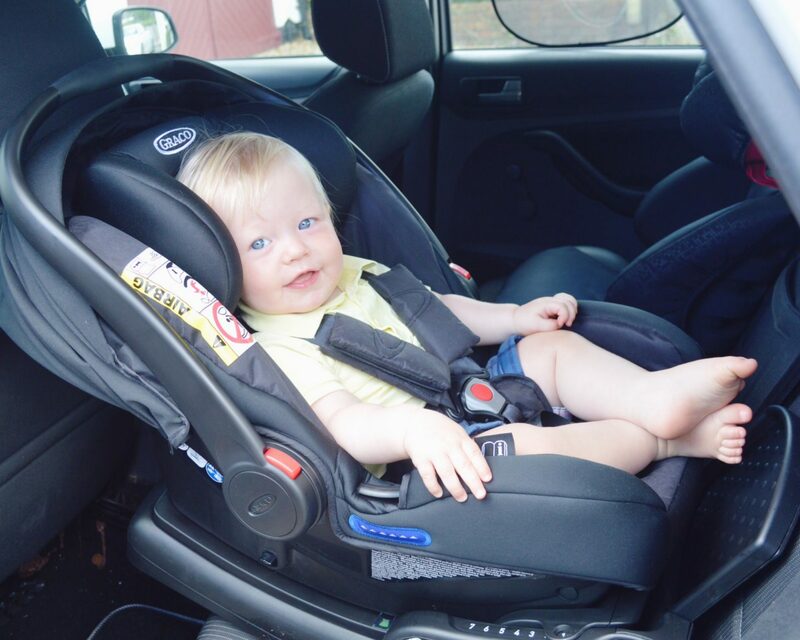 One great feature is that the seat can be easily adapted using a handle on the back, no more straps that need to be threaded and unthreaded each time you need to adjust it as your baby grows. With the Snugride it can be done in seconds. 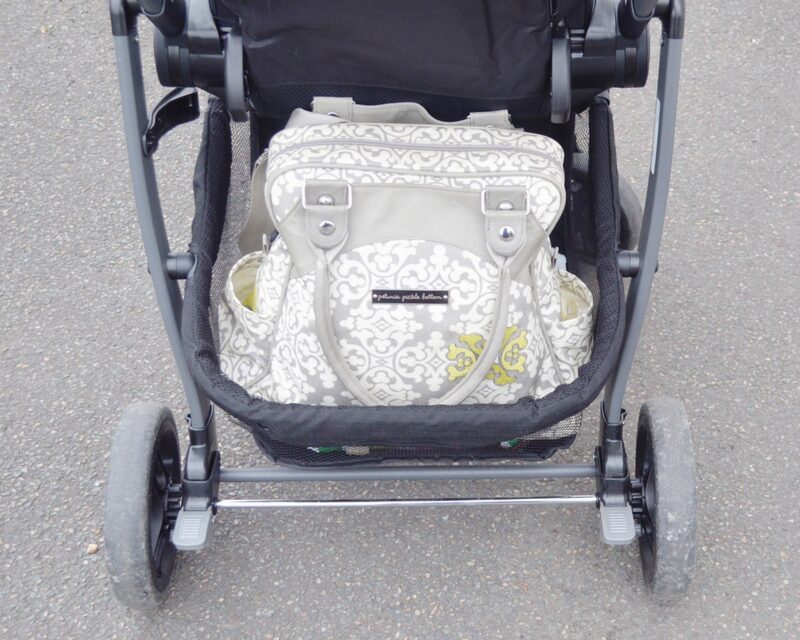 There are three main things that win me over on the pushchair stakes. It has to be parent and forward facing, it has to have a single bar handle and it has to have a big basket. The Graco Evo Avant has all of these and so many more features besides plus it looks fantastic. 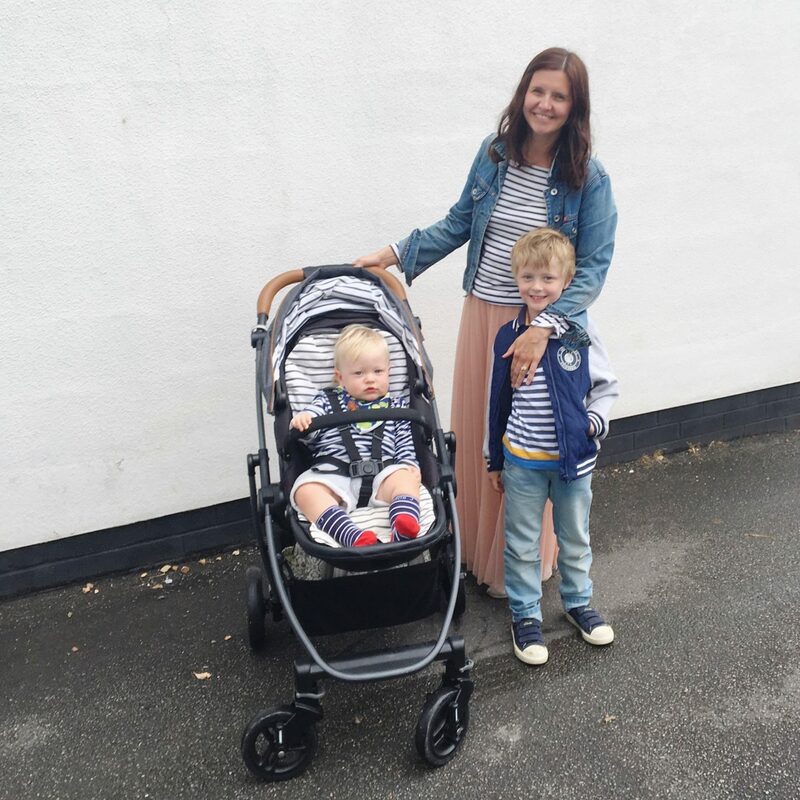 G loves being in it and don’t you just love it when you can coordinate the whole family to match your pram? The Evo Avant in Breton stripe is exclusively available from Mothercare, other colours are available. I love the photo of you and your boys at the end, it’s gorgeous! There is so much choice with pushchairs now isn’t there? When my three were little it was a much smaller selection. This one looks fab – I love the huge basket!